We all know: Together one is less alone. 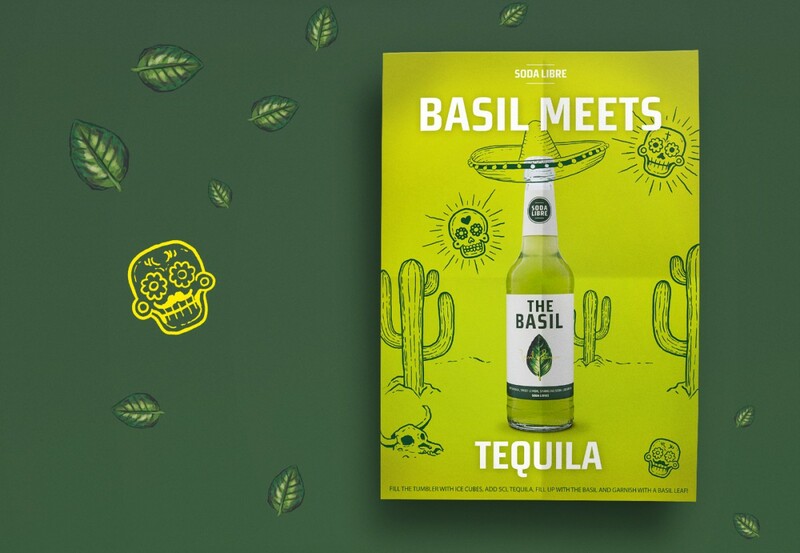 That’s why we joined forces with our homeboys from Kitchen Guerilla in order to develop a branding strategy for Soda Libre. 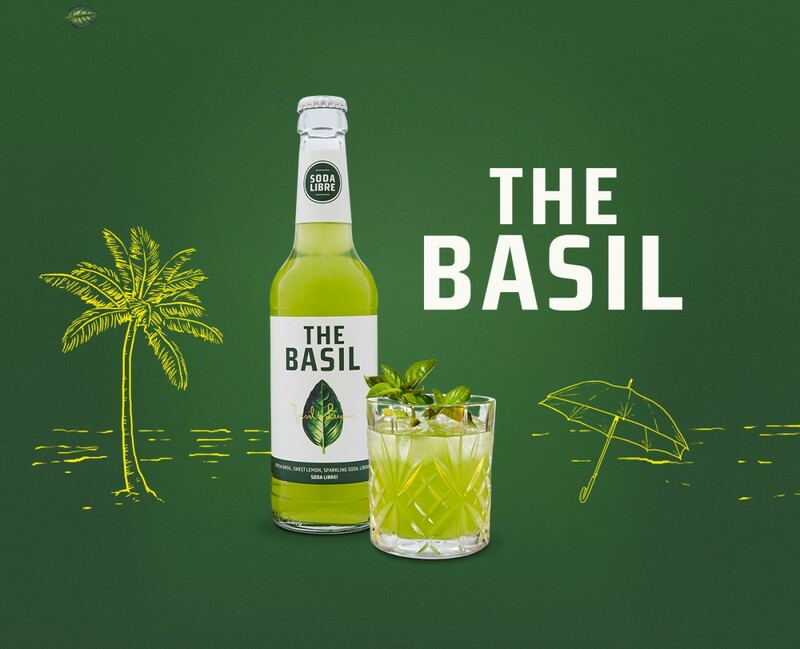 Soda Libre created the first basil soda – a sweet & sour soft drink and fun beverage that works perfectly on its own as well as mixed with different kinds of liquor. 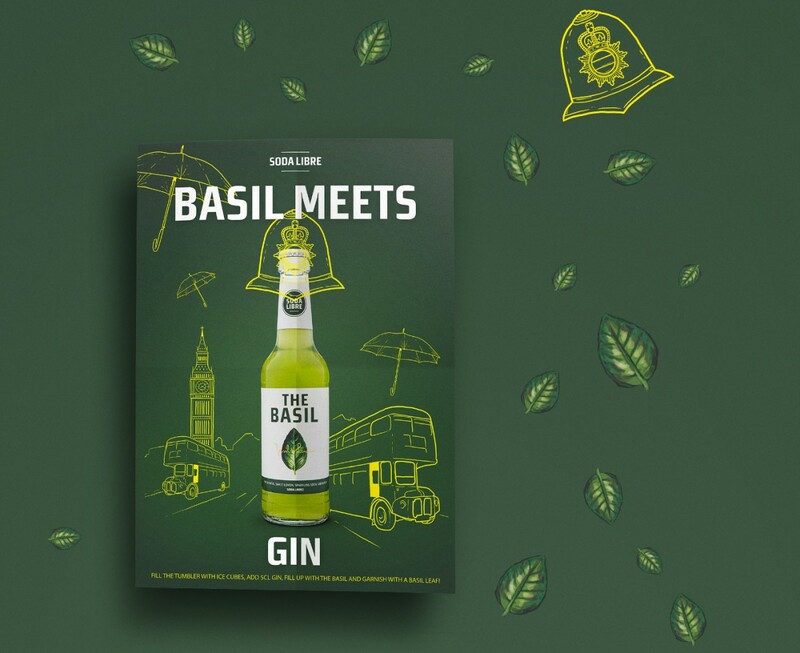 We loved the idea of “two drinks in one bottle” with an innovative taste. 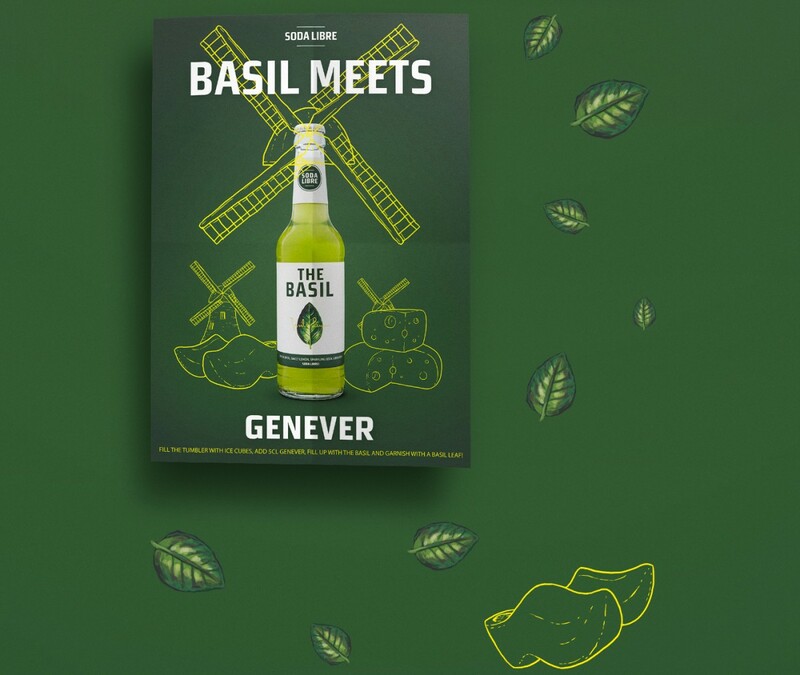 As part of Soda Libre’s campaign “Free Your Taste”, we designed a series of fun visuals for “Basil meets”. 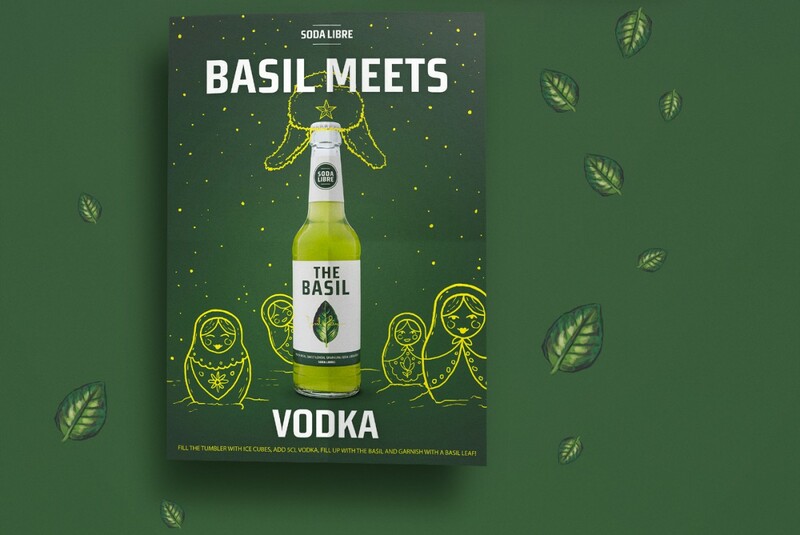 The idea was to show how the basil soda could be mixed with gin, rum, tequila or vodka. 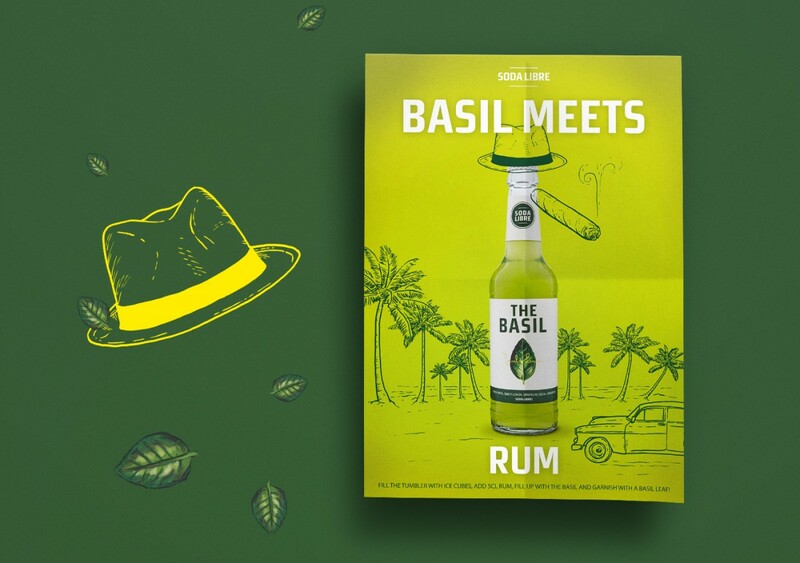 Therefore we created various illustrations to represent the characteristics of the countries these liquors are associated with.